Side view of the 'P.S. Gem' steaming, with cargo and passengers, fitted with towing gallows. 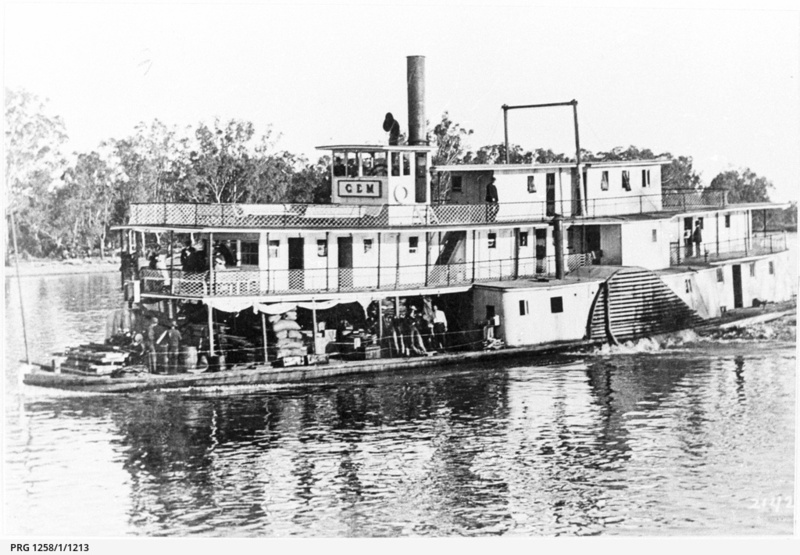 Originally a barge with wood and iron frame, converted into paddle steamer in 1879. Registered in Melbourne, 1876, Port Adelaide, 1879, and reregistered in 1883. Official number 74652. Built at Moama, 1876, by Messrs. Ayre and Westergaard. (Godson number 52A/22).